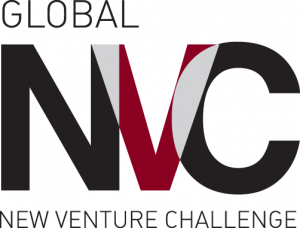 The second semifinals of the 2019 Global New Venture Challenge (GNVC) took place in London on March 1 where seven teams competed for a chance at participating in the finals. The GNVC is a unique platform designed to expand the Edward L. Kaplan, ’71, New Venture Challenge (NVC) business competition to Chicago Booth Executive MBA students and alumni worldwide. A benefit of the program is the participation of alumni and members of the business community in the coaching and judging portions of the competition. Teams participating in the London semifinals included EasyRent, Inside Man, Instilate, Kit4Kid, Moove, Waste 2 Energy, and Arch4Cashmere. In the end, Instilate and Moove were selected by the judges to advance to the GNVC finals. Instilate is a financial search engine which provides investment professionals powerful and personalized analytics in an intuitive way. Moove is a marketplace for trucking services that allows shippers and truckers to sign-up for free to bid for trucking services. The two companies advancing from Chicago will face off against the winners of the Hong Kong and Chicago semifinals on Thursday, April 11 at the 2019 GNVC finals. Now in its 12th year, the GNVC is an expansion of the top-ranked Edward L. Kaplan, ’71, New Venture Challenge, and is designed exclusively for Chicago Booth’s executive MBA students. It debuted in 2008 to accommodate the growing entrepreneurial aspirations of Booth’s executive MBA students on each of its three global campuses—North America, Europe, and Asia. The program is run by the Polsky Center for Entrepreneurship and Innovation in collaboration with the Executive MBA program at Chicago Booth.